So Valentines Day is over and you took advantage of those 50% off chocolate sales ... Read on to learn more about Chocolate Toxicity in dogs and what to do if you suspect your furry friend has found your stash! How Much Chocolate Is Still Considered Safe? If you know how much (and what kind of) chocolate your dog has eaten, it should be pretty easy to determine if they're in danger. Generally, the darker the chocolate, the more toxic it is. Dark, bitter baking chocolate can be up to 8x more toxic than milk chocolate, while white chocolate is typically of little concern. Chocolate contains the chemical Theobromine, which stimulates the heart and nervous system while relaxing smooth muscle. A low dosage of chocolate can cause symptoms such as vomiting, diarrhoea, panting, hyperactivity, restlessness, and an increased heart rate. In higher doses, chocolate can cause neurological symptoms such as tremors, seizures, coma and even death. Often, more dangerous symptoms will take a few hours to manifest. If you suspect your dog has eaten chocolate, take them to the vet immediately. If the chocolate was consumed within the last hour, inducing vomiting quickly will solve the problem. Your veterinarian will be able to do this safely. Can I Induce Vomiting at Home? There are many methods used to induce vomiting, however some are almost as dangerous as the chocolate itself. If you do it wrong, the problem may get worse. Typically, we would not recommend inducing vomiting yourself. 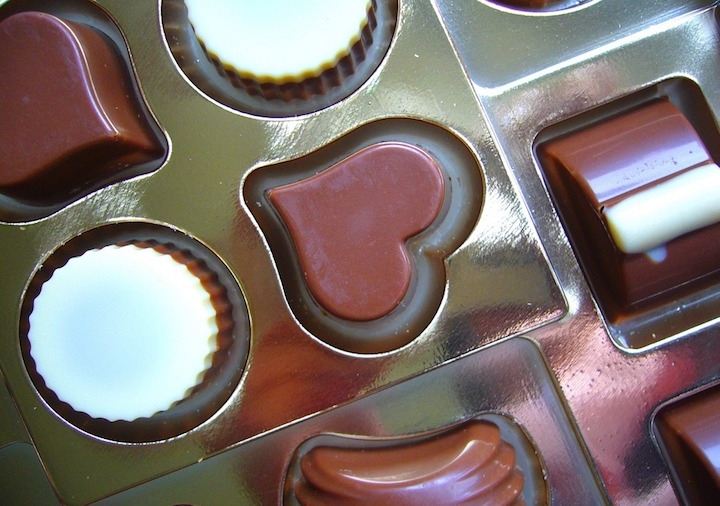 If the chocolate was consumed more than an hour ago, inducing vomiting will likely not help. Err on the side of caution, and seek treatment. Dogs have an amazing sense of smell, and they tend to be very experimental with what they consume. Play it safe, and keep the chocolate well out of their reach! For more information, check out this awesome Toxicity Calculator!